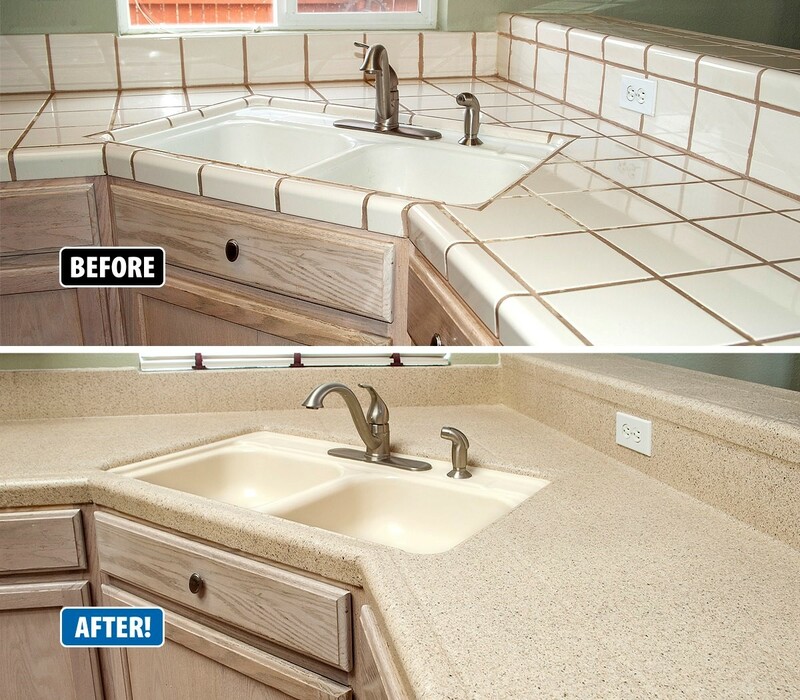 Countertop Refinishing Revitalizes Outdated Kitchens! Is your kitchen beginning to look outdated, worn out or simply just discolored? If you’re looking for a budget-friendly way to bring life back to your kitchen, consider countertop refinishing. While you could pay a tremendous amount of money to tear out and replace your kitchen countertops, refinishing your existing countertops with Miracle Method is more of a practical and affordable solution. Not only is countertop refinishing a more cost-effective approach than countertop replacement, but it takes significantly less time and money than a full kitchen remodel. Countertop refinishing is the process of repairing and beautifully restoring existing surfaces right in place to extend their functional life without the mess, hassle and cost of traditional replacement methods. In fact, homeowners can save anywhere between 50% to 75% over the cost of replacement, and the results are absolutely stunning! See the beauty for yourself by viewing some stunning transformations right here. 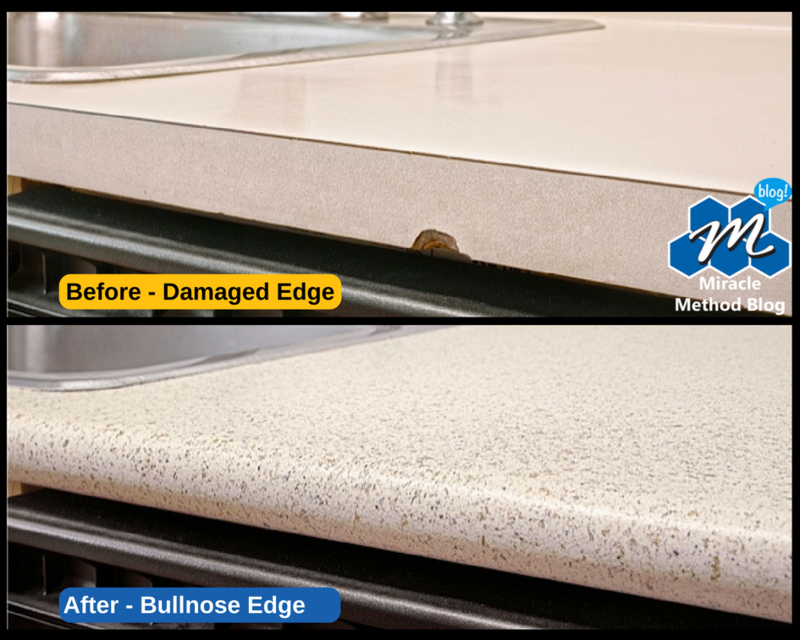 Countertop refinishing is a unique, multi-step process that first makes repairs to any damage on the existing surface including scratches, burns, knife marks, or chips. Next, the original surface is thoroughly cleaned and grout lines are completely sealed before applying Miracle Method’s unique, proprietary bonding agent MM-4 to assure a new, durable finish. The results are beautiful and the newly refinished surface is easier to maintain. Best of all, the entire countertop refinishing process can be completed in just two to three days! Miracle Method offers a variety of designer colors, including Natural Accents® stone-look finishes, a revolutionary new finish for countertops, vanities and ceramic tile. Natural Accents stone-look finishes resemble the multi-color appearance and texture of stone, but are only a fraction of the cost of real granite and man-made materials like Silestone, Corian or Swanstone. View these beautiful stone-look finishes right here. 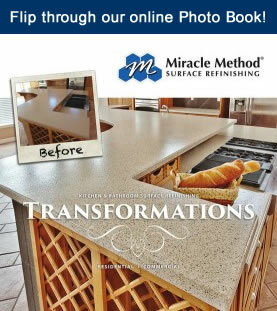 If you are looking for affordable countertop refinishing solutions, call Miracle Method at 855-212-7337 or find a location near you!